I'm in the Rapids Mall! We are always adding to this list so feel free to check back often!! ***Since we are a cupcake bakery we do not make sheet cakes, we do make mini cakes, smash cakes, giant cupcake cakes, and cupcakes laid out into shapes! with custom art on top of each cupcake. 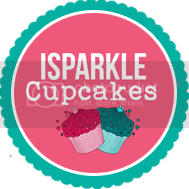 Mini Sparkles: Simple Swirl Sparkly bite sized cupcakes made with 2x the love! Giant Sparkly(feeds 10-15): $35/each ~ add $8 for filling. 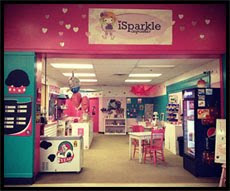 Giant Super Sparkly(feeds 20-25) $45/each~ add $10 for filling. Cupcakes in a jar: (p.s. you can mail these!!!) (2 Cupcakes Stacked inside of a jar with frosting in between) The colors, and candy choices, are endless! $7.50/each. Classic Glitter Pops: a cake pop dipped in chocolate in any color of your choice, sprinkled with glitter: $1.50/each. ♥♥Weddings: Yes! I'd love to sparkle up your wedding day with some yummy cupcakes! All wedding prices vary, please message, call, or email me with what you had in mind,and I can give you a price quote!